This is an example of a task list in Outlook® that has been scheduled by Taskline. Notice the special Taskline values Scheduled Start and Scheduled End. Knowing when each of your tasks will be completed puts you in control. 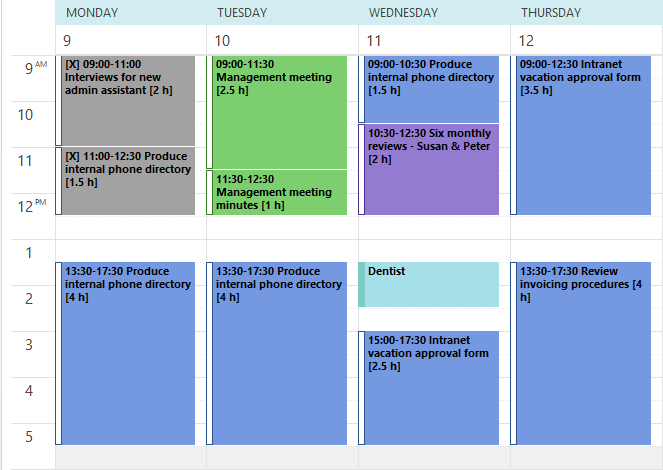 This shows the same task list as displayed above, but now shown in the calendar view. With Taskline, appointments and tasks can be shown together, to give a single view of everything that you need to do. Notice the dentist appointment at 1:30pm on Wednesday the 11th, how the tasks slot in around this and how Taskline allows time for you to travel back from your appointment. Notice also the first two gray entries (top left); these represent completed tasks. Taskline gives you the option of keeping a record of all your completed work. Finally, this screen shot also shows how the colors of tasks displayed in the calendar can be set depending upon various task attributes, such as project, priority or category. Respond and adapt to new work quickly and efficiently. 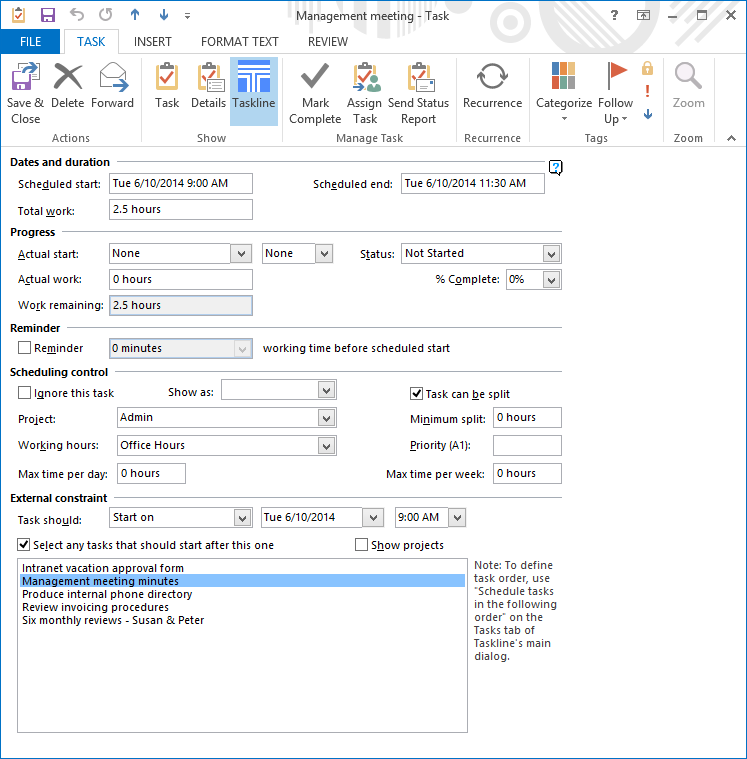 This is the Taskline-enhanced task form in Outlook®. It enables you to see and set the special Taskline values, such as recommended start and finish dates, task reminders and scheduling constraints, such as Start On and Finish on or Before. This is the Working Hours tab of Taskline's main dialog, showing how your working hours are defined. 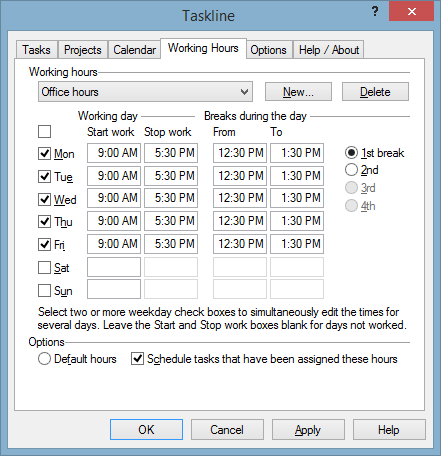 Taskline Professional Edition allows multiple sets of Working Hours to be defined.